I heard that one of my favourite artists Kate MccGwire had a piece on showing at the All Visual Arts' new space in Kings Cross, so i popped in over the weekend. 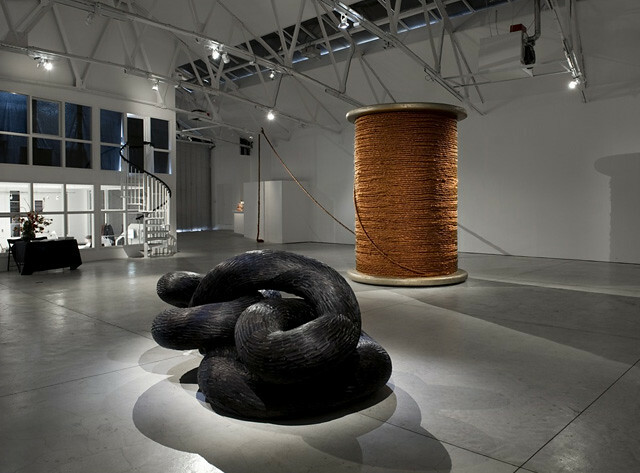 The exhibition features 2 large scale sculptures by Kate MccGwire and Alice Anderson, specially commissioned by the AVA. Below are some photos taken from the All Visual Arts site, if you want to read more about the show go here. The show suns until the 30th April so you need to be quick. I am too late for this event but I heard that the show was a success. I hope they continue to spread the relevance of arts to our lives.